Chris and Kim have always been Disney lovers since they each made their first trips to Disney World as children. Little did they know know when they were married in 2002 that some day that love would become a passion for all things Disney! Their first family trip to Disney was with their almost 3 year old daughter in December of 2010. In a rented camper they headed to Disney’s Fort Wilderness campground and immediately realized Disney was where they belonged! The look on their daughter’s face when she first met Mickey and Minnie at Chef Mickey’s is something they will never forget and is why they continue to make 2-3 trips a year to Disney World with both of their daughters so they can continue to create those special memories! While Disney is all about families, Chris and Kim also understand and appreciate that it can be an adult place as well! Each year they take a “mommy/daddy trip” to Orlando during the fall to attend Epcot’s Food and Wine Festival and have learned that there is always something fun to do for kids of all ages! 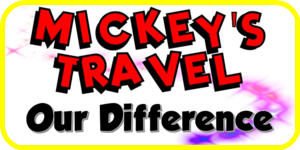 With everything Disney has to offer, there is always something new to experience! Chris and Kim love helping others create their own Disney memories. That is almost as much fun as experiencing it themselves! 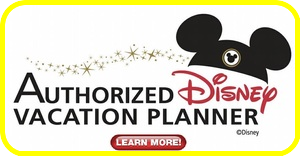 Whether it is that once in a lifetime family adventure, your first Disney cruise, or an adult getaway, they will take care of the details and will help make it the most magical trip ever!